Some girls like to take their textbooks in bookbags and some like to carry backpacks. A lot depends upon the area where one lives. Preferences are sometimes determined by region, sometimes determined by school, and sometimes determined by one’s friends or clique. In school, it is important for a young woman to make a statement. And, moms should try to help their daughters get the proper bags. • Middle school kids usually like to blend in. • Some high school girls like to fit in and some like to stand out. • Community colleges are a cross between high-school style and traditional university style. • Both Pink Daiquiri Vain Love (with tiny skulls) and Bleeding Heart patterns are a bit punk, a bit sweet, and a bit better for teens and tweens than for studious underclassmen. • Soda Shop is a nice alternative for tailored types. Actually, this zig-zag pattern will work with any style. 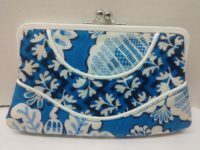 • Some people find patterned bags to be more practical than solids because they camouflage pen marks and other stains. A dark solid is better than white or yellow for anyone who is not meticulous. Some cutesy pastels can look a bit like diaper bags. • JanSportMowtown Messenger is a smaller version of the Elefunk and may be better for those who carry fewer schoolbooks. • Trans by JanSport Fly is a perfect book bag. Green Plaid looks smart. Pink Argyle is a bit punk-rock-ish, though not in a flagrant way. Laurex makes a great Laptop Bag. It is pretty and feminine but elegant enough for work, college, or travel. Nice design. These tote bags would be good for high schools, West Coast colleges, and community (junior) colleges. Accounting majors may want to stick with traditional solids or plaids. 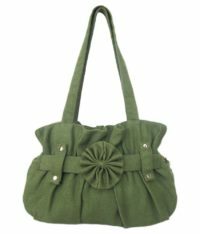 • Wildkin Butterfly Messenger Bag (Large) is beautiful and girly, but not childish. • Dakine Ava Gypsy Floral is a hippie chic paisley. • Outlaw Earth Derringer in Camo-Pink is a great balance of girly toughness. • Ogio Road Trip has unisex as well as trippy-cool designs and subtle prints. • JanSportElefunk has several chic designs: Black/White Saddles (a hint of pink), New Chocolate Chip Saddles, Purple Magic Plaid (a nice preppy madras). • Hurley Special Blend Laptop Tote is a sophisticated alternative to black. • Roxy Broken Rules Laptop Tote is a hip take on classic plaid. • Dakine Women’s Messenger Print Bag is beautiful in Vivienne Plaid/Navy, Plush Plaid Charcoal, or Twighlight Plaid. Solids are always safe and go with anything. It seems like a girl can find the right shade of any color. Just click around. • Timbuk2 is a well-made classic messenger. It is strong and unisex. The red color is fabulous for university girls. Look at different sizes. • Northface Base Camp Messenger Bags come in cool discontinued colors like Power Purple and Zest Orange. Most of the expensive bookbag, tote, and messenger styles can be found in cheaper knockoff versions. To save money, check out multiple sites. 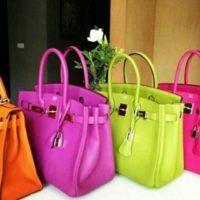 The author has found that (sometimes) identical bags can be found for about $20 less if a girl is willing to spend time rather than money.